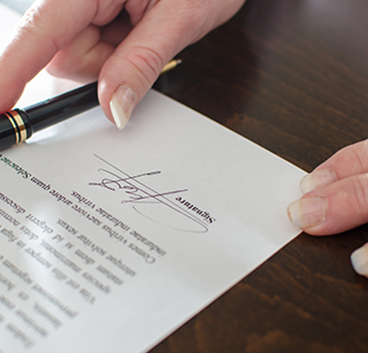 If you are entering into an agreement and want to mitigate the risk for you and your business, the value of a legal opinion regarding the terms of the agreement cannot be over stated. The so called `gentleman’s agreement’ unfortunately requires gentlemen as parties to the agreement, and a decent memory to remember the terms. Ensuring that the terms of your agreement are reduced to writing and that proper precautions have been taken in the event that the business relationship goes sour is advisable. Feel free to contact us if you are uncertain about the terms of your commercial agreements. Uncertainty is not a proper foundation for a commercial relationship. The right question at the right time can prevent unnecessary litigation. Looking for an Offer to Purchase and/or a Commercial Agreement? The date of occupation; Occupational Rent; Fixtures and fittings and the Conditions of the sale. These aspects must be scrutinized to ensure that your interests are protected. If we are appointed as conveyancing attorneys we will offer the seller a free consultation to discuss the offer to purchase.